A front page article in The Columbus Dispatch newspaper on Memorial Day 2017 carries startling information: Clinical trials are underway in Columbus, Ohio, to possibly remove blood clots in patients whose stroke symptoms started as many as 24 hours before. Trial participants see overwhelming positive results that could lead to changes and save hundreds of thousands of lives all over the world. Immediately I put myself into such a situation as I recalled a conversation with my electrophysiologist almost 5 years ago. It was in his office during my annual checkup 6 years after my ablation to eliminate 30 years of atrial fib and 5 electrical pathways that needed to be ablated. I stayed on warfarin for a year-and-a-half after the ablation at which point my electrophysiologist reluctantly eliminated it from my list of medications. I had been on that blood thinner for 12 years and atrial fib free for almost 5 years. 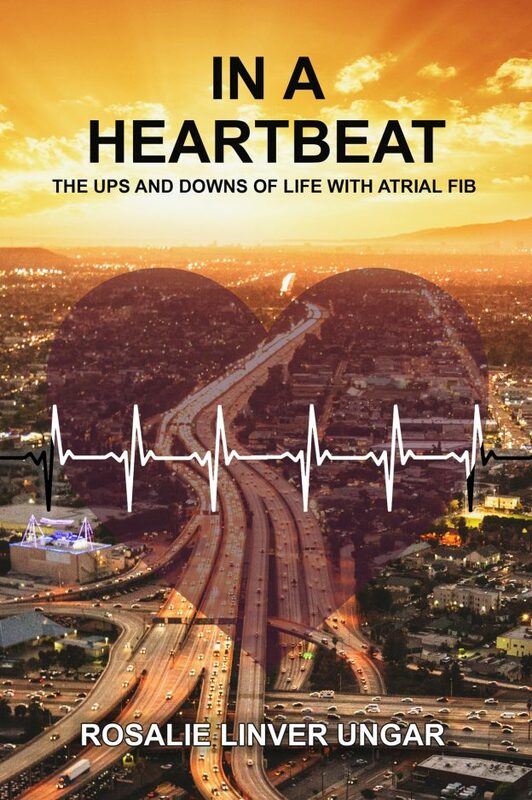 When I turned 75 years of age and was feeling terrific, better than I’d felt in 20 years, I related this info to my doctor and told him I was writing a book about my 35 years of life with atrial fib. Sheepishly he said he wanted to put me back on a blood thinner. I looked at him through squinting eyes. “Why?” I asked. “I don’t want to take a blood thinner,” I said. He told me that there is a point system for A-Fib patients and that 4 points is the median. Because I am over 75 gives me 2 points and being a woman is 1 point. He told me that I am still a candidate for a stroke. He told me that I would and that stroke symptoms aren’t subtle. I would have 1, maybe 2 hours to get to the hospital to break it up or remove the clot. A compromise was at hand. With that, my electrophysiologist wrote a prescription for a new- to-the- market blood thinner. He didn’t date it and asked me to carry it in my wallet wherever I went. If I go into atrial fib for 6 hours or more, I should get the prescription filled and contact his office. I promised that I would. That was 5 years ago. No atrial fib so far. Each year he gives me a new prescription. Last year he also gave me a coupon for 2 free weeks of the drug. In 2 months I’ll be 80. I feel great. A 24 hour window between the beginning and the road to recovery of a stroke will be amazing. Soon available as audio book. This entry was posted in Blog on June 26, 2017 by Rosalie Ungar.